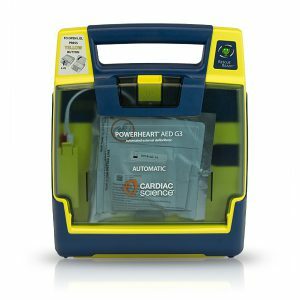 While some cardiac events are treatable with effective Cardiopulmonary Resuscitation (CPR) alone, others require a combination of effective CPR and the use of an automated external defibrillator (AED) to deliver a lifesaving shock within the first few minutes of sudden cardiac arrest (SCA). In both cases, effective CPR contributes to an increase of survival rates of up to 75%. 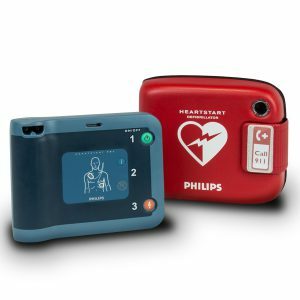 More than a simple AED, the HeartSine samaritan® PAD 450P with integrated CPR Rate Advisor™ provides real-time visible and audible feedback to the rescuer on the rate of CPR compressions during an SCA resuscitation. While some SCA victims benefit from the delivery of a shock, effective CPR with minimum interruption will maximize the chances of a positive outcome for virtually every SCA victim. 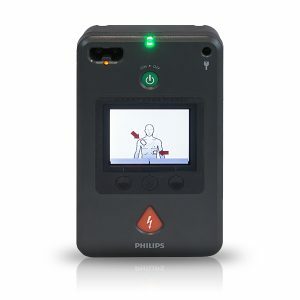 Using HeartSine’s proprietary ICG-based technology, the SAM 450P with CPR Rate Advisor provides the rescuer with continuous real-time verbal prompts of “Push faster,” “Push slower,” or “Good speed” to help achieve the optimum rate of compressions as defined by the American Heart Association (AHA) guidelines for CPR. 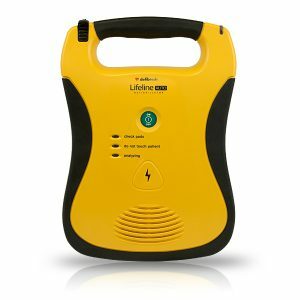 Similarly, the SAM 450P detects if CPR has stopped, and prompts the rescuer to “Begin CPR” until CPR has resumed. The SAM 450P also incorporates an intuitive LED-based visual feedback feature that operates in tandem with the verbal prompts enabling rescuers to operate in extra noisy environments.